Can you quickly run around the world of Minecraft? 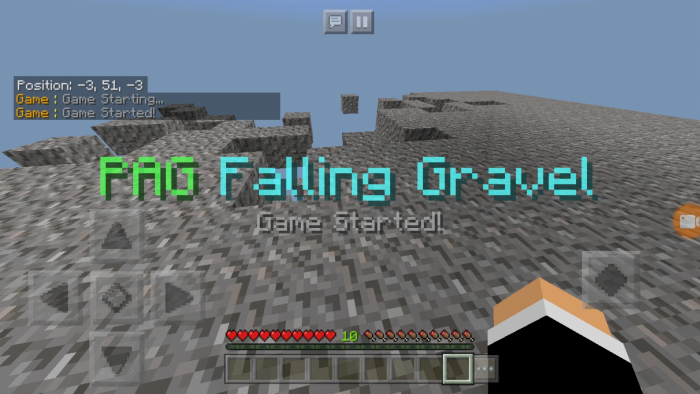 Let’s check it out on the territory of the new fascinating PAG Disappearing Gravel map! You will need to call at least one of your friends around the world Minecraft Bedrok. Your main goal is to get to the end of this mini-game and not fall down, as the gravel below you will gradually disappear! To date, 5 levels of difficulty are available: very slow, slow, normal, fast, and very fast. Be careful in the world of Minecraft Bedrock!